This letter is to the “Players Coalition members, specifically Doug Baldwin, Anquan Boldin, Malcolm Jenkins and Benjamin Watson. First, thank you so much for lending your celebrity to the cause of Criminal Justice Reform! I am a formerly incarcerated criminal justice reform activist and I can’t tell you how much of a difference it makes when people of your stature lend your voices to the cause. Regardless of if you listen or ignore me, I want you to understand that I will support and fight for the reforms you suggested, they are good ideas and I hope President Trump will take them seriously. That said, with respect, I have just one plea, as you move forward with this campaign, please don’t limit your call for clemency and mercy to just those people convicted of a nonviolent offense. Non-Violence Sounds Great But What If It Is An Inaccurate and Counterproductive Label? I certainly understand why this would seem to buttress the case for clemency for many of the folks you are fighting for. 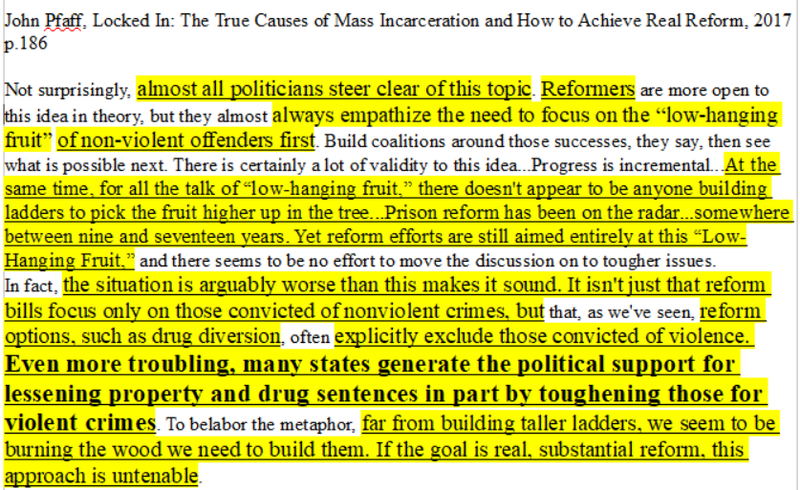 But, there are real problems with endorsing the distinction between violent and nonviolent criminals. First, violence is often a political distinction. Many crimes which we would not consider to be violent are labeled violent in statutes. For instance, a getaway driver could be charged, in many jurisdictions, with manslaughter or as an accessory to murder if one of his co-conspirators shot someone during the commission of a robbery. More recently, we have seen examples of where people who were simply present, or part of the chain of agency, when someone else overdosed being charged with a violent crime. Very often, we have seen online crimes being labeled as violent crimes. But Shouldn’t People Get Credit for Not Choosing Violence? You might be asking yourself why shouldn’t people be given credit, or earn relief, for avoiding violence? 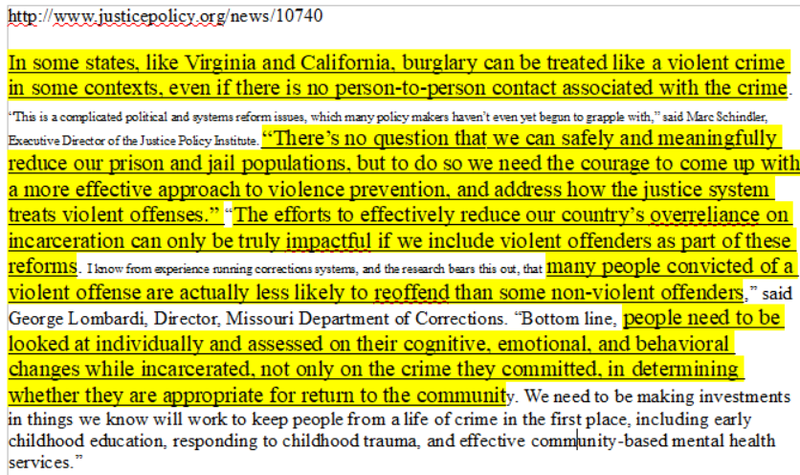 As mentioned before many people sentenced as violent are not actually violent (or at least did not commit an act of physical violence against another human being person to person). Even more importantly, when you choose which people to provide relief based on the distinction between violence and non-violence you create pressure for even more excessive punishment for those labeled as violent. n essence, you create a caste of criminals for whom it is acceptable (almost necessary) to treat in brutal and unforgiving ways. So, while I will inevitably support what you are doing, I am respectfully asking you to please…pretty please…just stop using “non-violent” as a qualifier on the reforms you are asking for the President to enact. I am not saying don’t focus on people who are serving for a drug offense. I am not saying don’t focus on people who deserve compassionate release because of age or length of sentence. I am only saying the terms “violence” and “non-violence” have become poison words that have real world effects on real people. Thanks again for everything that your group is doing to help the criminal justice reform project move forward!